Home > Food/Drink > Tabülè – The more, the merrier! Tabülè – The more, the merrier! After visiting Tabülè last Wednesday, I cannot imagine a more perfect location for a restaurant with this type of atmosphere. Its calm colours and soft music were complimented with a modern Middle Eastern theme that was not overstated or tacky in any way. Every finish from the tables to the décor was very sharp and detailed, yet did not come off pretentious in any way. 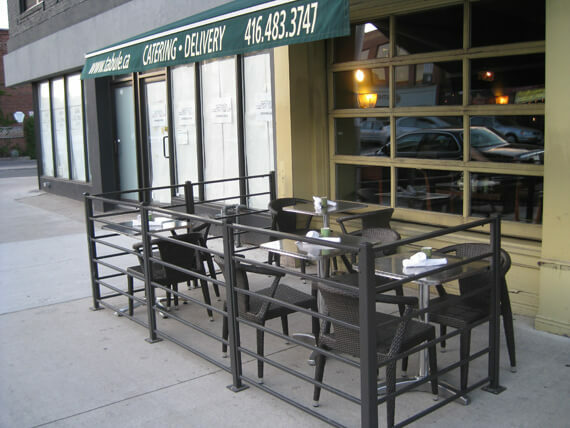 In addition, a café style patio – quaint and simple, out front for the beautiful weather that is now upon us! After meeting co-owner Diana (who was SO accommodating) my friend and I knew that we were going to be in for quite the evening. At our discretion, we let her choose her recommendations to be prepared for us, and WOW, are we ever glad we did! 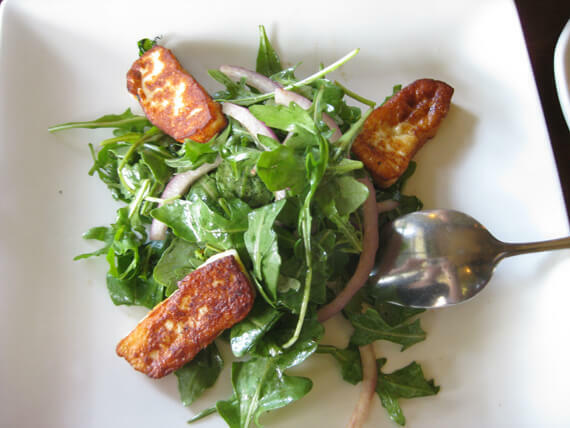 Prepared by her husband and other co-owner, Rony Goraichy, his dishes were prepared and presented with what we felt were incredible levels of care. 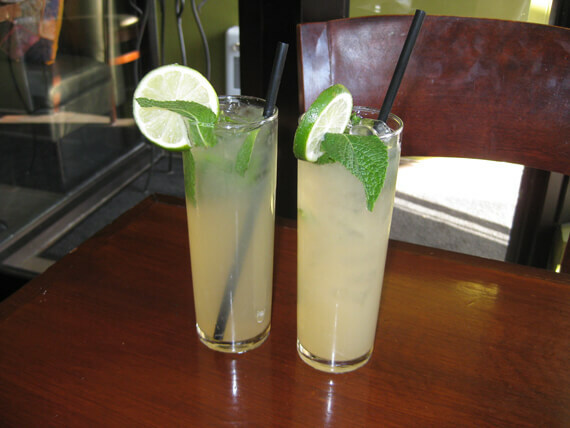 We started off our evening with a beautiful Moroccan Mint Tea and Mint Limeade (both $3.95). The tea had a very soft flavour with a mild, refreshing aftertaste. It does not need sugar as the mint provides a self-producing sweetness that had us finishing the pot! The Mint Limeade was one of the best that I have ever tasted. It was light and we were not overwhelmed by the sour flavour that limeade tends to have. Our cold appetizers arrived as Adam, our server, presented us with their ‘sampling platter’ ($14.00) consisting of labni, tabülè and hummus. Two words to describe all three – LIGHT and REFRESHING! 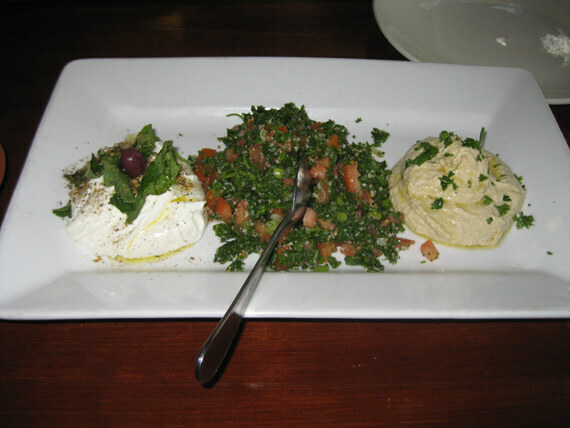 The labni – a homemade Lebanese yogurt cheese mixed with garlic and topped with zaatar, was unbelievable! Resembling the look and texture of the top of a lemon meringue pie, the garlic and spices were not overpowering, but rather a subtle touch adding to the dish. The tabülè was fresh and vibrant in colour. Every mouthful a refreshing, pallet-cleansing bite! The tomatoes were crunchy and the light lemon and olive oil dressing added a soft tang that kept us piling it on our fresh pita bread! The hummus was arguably the best we have ever tasted, both rich in flavour AND in texture (which is the most important for me). It was not too creamy and its substance finished the sampling platter beautifully. 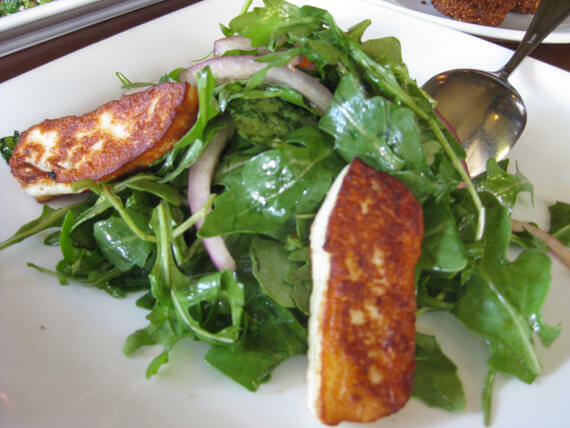 Finally, our hallüm salad– baby arugula, onions & seared hallüm cheese tossed in a pomegranate dressing ($9.50). The cheese had a beautiful brown colour from being seared and I did not find myself chewing forever. It was warm, soft, yet not heavy. As our SECOND set of appetizers arrived (yes, I said SECOND), we chatted with our server Adam, who was very knowledgeable in the history and the preparation of the food. With every main that arrived, came a detailed, yet direct description of the food and what we could expect with each bite. 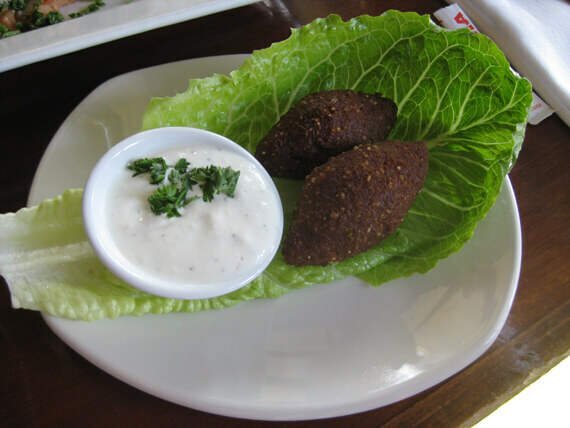 First up -the kübbè – a whole-wheat cracked wheat shell stuffed with ground meat, onions and pine nuts ($6.75). This was a delightful, warm crunchy two-bite dish that was juicy, and complimented with a light, garlic yogurt sauce. 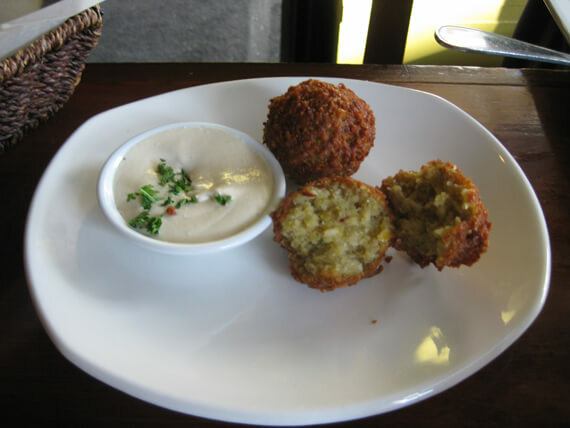 Next up, the most anticipated appetizer for us, the falafel ($5.75). Cooked fresh to order, the patty melts in your mouth. Its texture was so soft and rich in volume, fried to perfection! It was everything we were hoping for and more! Finally, our server Adam’s personal favourite, the fried cauliflower finished with a touch of tahini and a sesame seed cream puree. The fried cauliflower resembled the flavour of a home fry potato. 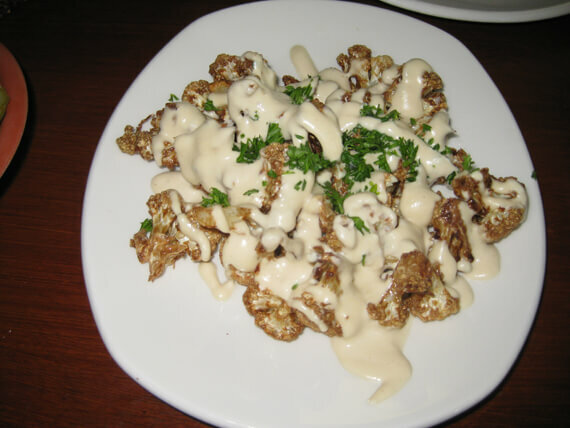 I would like to see how it would taste if the cauliflower was done with a bit more crisp, however, we can definitely see why it is a staff favourite. Finally, it was time for our mains! I know, all of that food you have just read about was just our APPETIZERS! It was definitely THAT kind of experience!!! 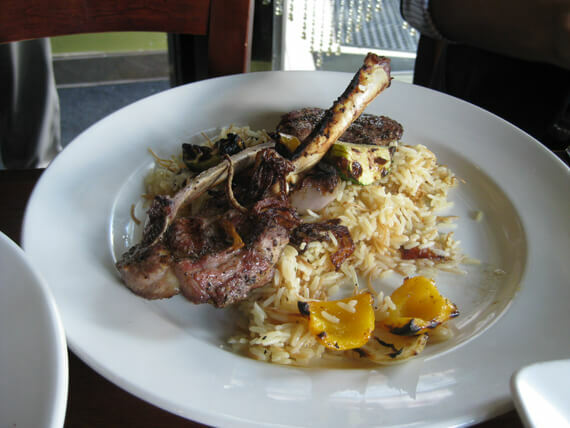 Adam started us with the lamb chops – four pieces of LOCAL Ontario lamb (shout-out to local farms) dry aged in house and charcoal broiled, served on a bed of rice topped with roasted vegetables. ($23.95) Without a doubt, this is at the TOP of our list of items to try! 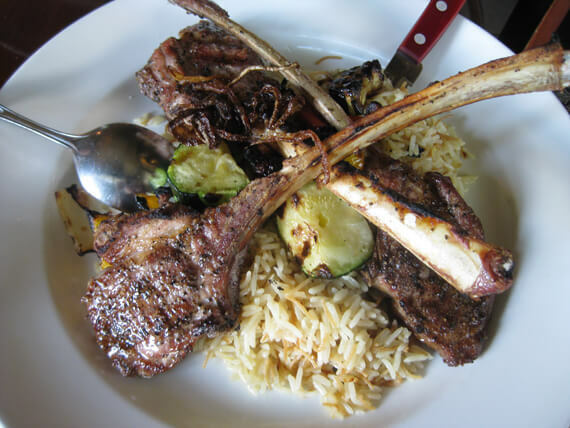 The lamb was so tender, it took little to no effort to separate it from the bone. Cooked fully throughout, its tender texture had us wanting more. 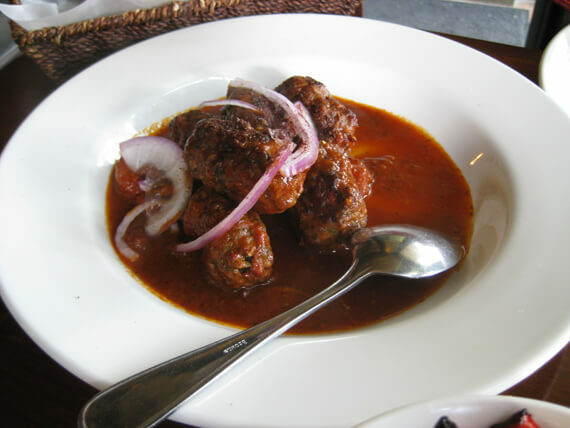 Our second shared main was the kefta banadura – a charcoal broiled mixed lamb and beef in a tomato garlic sauce ($18.95). The meat was so tender and again, the garlic was present, yet not overpowering. The sauce had a nice thick texture that added to the skewers flavours. In case any of you are ever wondering what the answer to ‘Do you have any room for dessert?’, the answer is YES! 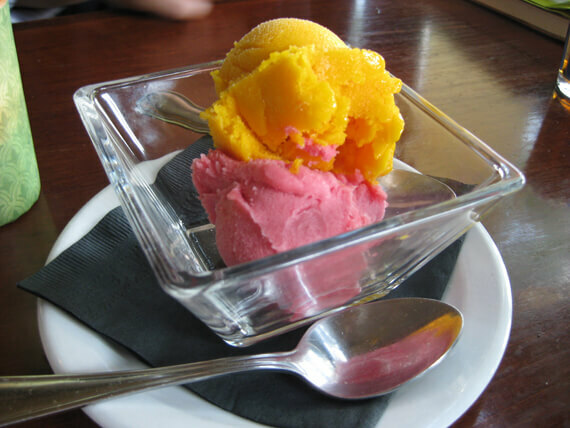 We split two desserts – a homemade scoop of both mango and blood orange sorbet ($6.50), as well as mühalabiya – a Lebanese custard topped off with pistachios and rose water syrup ($4.95). The sorbet was hands down the best I have tried in Toronto. 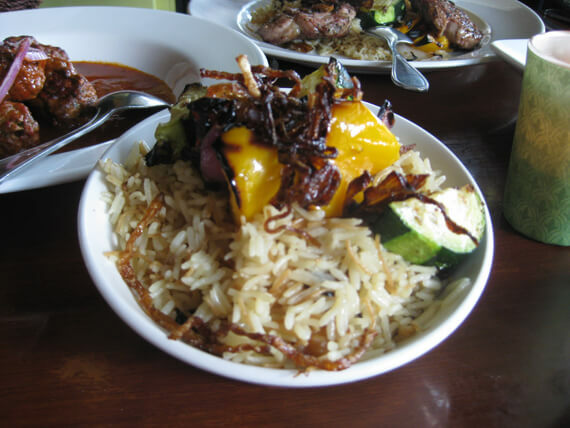 Its flavours were so authentic and refreshing – we could have eaten six! The mühalabiya, prepared fresh and in-house was a warm, soft, ‘cozy’ tasting dessert. Resembling the texture of a rice pudding, it too, melted in your mouth. It was light and the pistachios added a nice crunch for texture. A stunning counter balance to the sorbet. 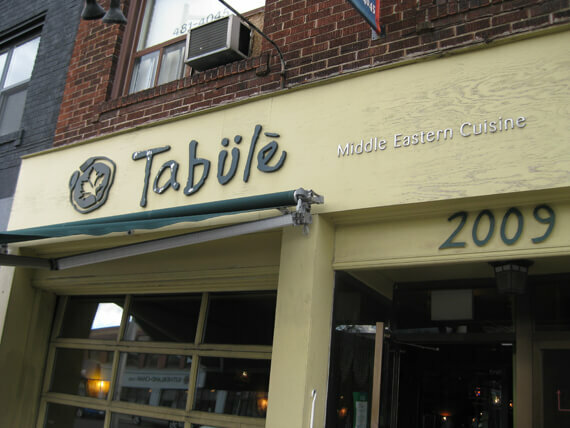 The experience at Tabülè is one that should be experienced for people who are looking for a modern, Middle Eastern experience. My recommendation is exactly as the title reads: ‘The more, the merrier.’ When dining here come with a small group (3-4) and order a variety of dishes and split them. By having just one, you are cheating yourself of the experience of having such amazing flavours from such simple ingredients. With a wealth of vegetarian and seafood options as well, it is a place that can accommodate diners with specific lifestyles. Sending a HUGE thank you to Diana, Chef Rony and Adam for their incredible hospitality and delicious food. We can’t wait to return. All of the details of Tabülè are listed below. If you can’t already tell, we highly recommend you go as soon as possible! Storage Server Management Services Solutions from ITsyndicate.